You can tap Knowlton Center resources for career exploration over the entire four years of your time at Denison -— including summers and breaks. We coach you both one-on-one and through small-group workshops, facilitate internships, and provide job search/hunt resources, graduate school counseling, and profession-specific skills to close knowledge gaps. We link with Denison’s extensive alumni, parent and employer network to connect you to crucial opportunities. The Knowlton Center for Career Exploration helps you land your first job, and prepares you for your second and third positions, too. How do Career Centers Work? Figuring out what you want to do after graduation is not simple. It’s a complex process that evolves organically over time, and the Knowlton Center will coach you along the way. First you’ll learn Career Foundations, the basis of your knowledge. You’ll learn how to write your resume, self-assess your skills and values, articulate them, and start exploring the areas that interest you. Then, you’ll move into Career Preparation, where you will learn interview techniques, gather relevant job skills, and prepare to be successful in your job on Day One. Career exploration starts — and crosses the finish line — with YOU. We make it easy to get started. Make an appointment or stop in and talk to a career coach. We’ll walk you through the process. First, you’ll do some self-assessment to help zero in on the fields you’re interested in pursuing. Your major is a big clue, but you are doing much more than simply majoring in an academic discipline. You’ll learn how to access Handshake, the platform with many of our career tools, such as What do I do with this Major? and Focus 2, that help you assess your personal qualities and explore career fields in your major. Second, you’ll take part in workshops and programs that are designed to build your confidence, explore your interests and help you gain knowledge. You’ll work with a career counselor to articulate what you’ve learned in the classroom, through leadership experiences, and co-curricular opportunities, and see how that knowledge fits into your career goals. Onboard: A collection of 60 self-paced online profession-specific units, Onboard is designed to prepare you for entry into the professional world and complement your classroom experience. First Looks: Full- or half-day opportunities let you explore potential career interests through a visit to one or more businesses and organizations. You’ll have the chance to meet with recent college hires, senior-level staff and alumni at the organization; learn about company culture, job responsibilities, and employment opportunities; and gain exposure to different work environments. Boot Camp: Designed to help you build career-ready skills during an intense (but fun!) three-day workshop. You’ll learn how to articulate your unique value, discover the art of self-presentation through resumes, cover letters and interviewing, and how to network, both in person and via technology. This includes a First Look trip to Columbus, with visits to four companies and an alumni networking event. CRISP: Our Career Ready for Interview Success Program (CRISP) gets you the strong interview skills that are critical during the job/graduate school search process. You’ll take part in a CRISP learning lab, evaluative mock interviews, and ongoing coaching. Third: you’ll assemble all the Job Search Tools you need. We’ve got the resources and counseling you’ll need to articulate your knowledge and experiences, build your resume, and manage your career search. Fourth: you’ll make connections through networking, find mentors, and test the waters through internships and externships. Alumni/Parent Mentoring Programs are designed to connect you with parents and alumni as mentors throughout your career exploration process. These include our Wisr platform. You can also connect to potential mentors through LinkedIn and Denison Connecting. Denison Internship/Externship Program You’ll get a structured learning experience, and the opportunity to earn an academic transcription notation, as you explore career fields and apply academic coursework to the workplace. We give you support before, during, and after the internship. And, if you want to accept an unpaid or low-paying internship, you can apply for a stipend. Fifth: you’ll launch into your first job, prepared to continue learning as you move through a lifetime of careers. Denison has funded the Knowlton Center generously to give you the edge when competing for the best jobs, graduate, medical and law schools (link), and service opportunities, like Teach for America and the Peace Corps. Denison also routinely places at the top of national lists for competitive post-graduate fellowships like Fulbright, Marshall, Rhodes, and Rangel. The Lisska Center is staffed and resourced to help you pursue these post-graduate fellowship opportunities. The Knowlton Center has the resources to launch you into success: we provide funding for unpaid and low-paying internships, effective technologies to help you learn and connect, and a full complement of trained and knowledgeable staff who specialize in the fields you’re interested in. We are located on two floors of the Burton D. Morgan building, in the center of campus, and just down the hall from Denison’s Alumni and Family Engagement Office, so making those important connections with alumni happen more easily — and sometimes even serendipitously. Columbus, the nation’s 14th largest city, is only 25 minutes away. Our proximity to Columbus, a center for global business and industry, offers you easy access to valuable internships, jobs and networks. Columbus is a city that combines Midwestern friendliness with cutting edge technology. It’s an ideal place to explore different careers and a great stepping stone to the coasts — unless you find yourself too happy to leave. We wouldn’t be confident of your success unless we had proof that our program has worked for thousands of Denison students before you — and it has. 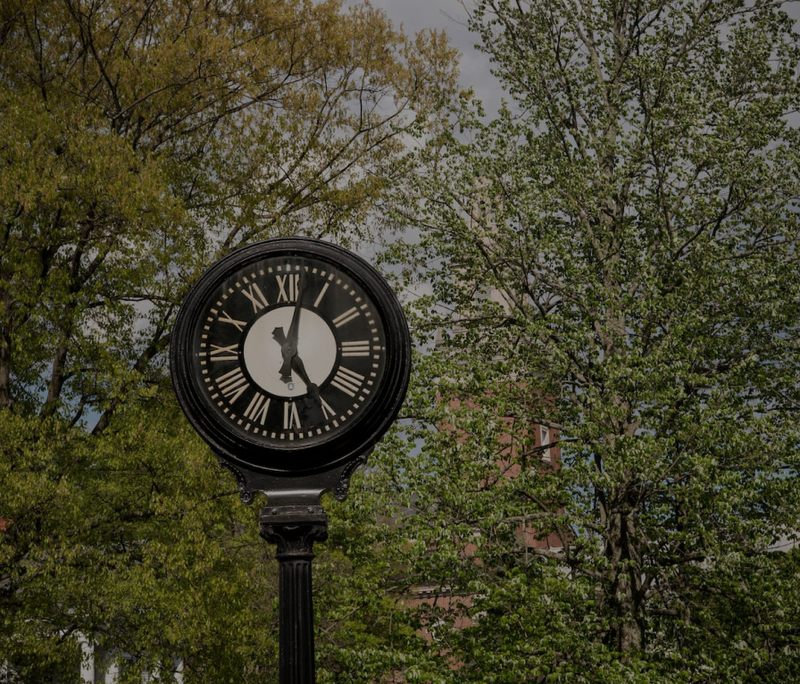 Each year, we survey our students at the six-month-out mark and again after five years post-Denison. We post the results of those surveys for you in The Denison Difference. For example, if you are interested in a biology degree, you can see that 88 percent of Denison graduates with a biology degree were employed, in graduate school or completing post-graduate service within six months of graduation. We’re proud to say that 95 percent of Denison alumni report being in their desired field or position or on their way to achieving what they hope to accomplish professionally within five years of graduation, and 94 percent are satisfied with how well Denison prepared them for professional success after college. We can say with confidence that we can help you find the life and career you want to lead.